Here is the fourth Lex Arcana dispatch, written directly by the Emperor's scribes and sent to all our Cohors members! How are things in your distant province, this week? 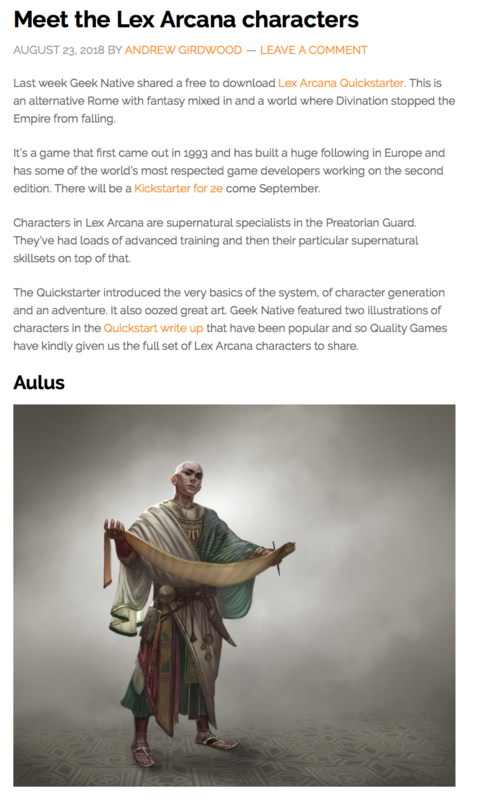 "Characters in Lex Arcana are supernatural specialists in the Preatorian Guard. They’ve had loads of advanced training and then their particular supernatural skillsets on top of that." In the previous dispatch, we shared a great Geek Native review of our Quickstarter set. Now, the website has also shared an article about the five pre-generated heroes you can find in the primer. 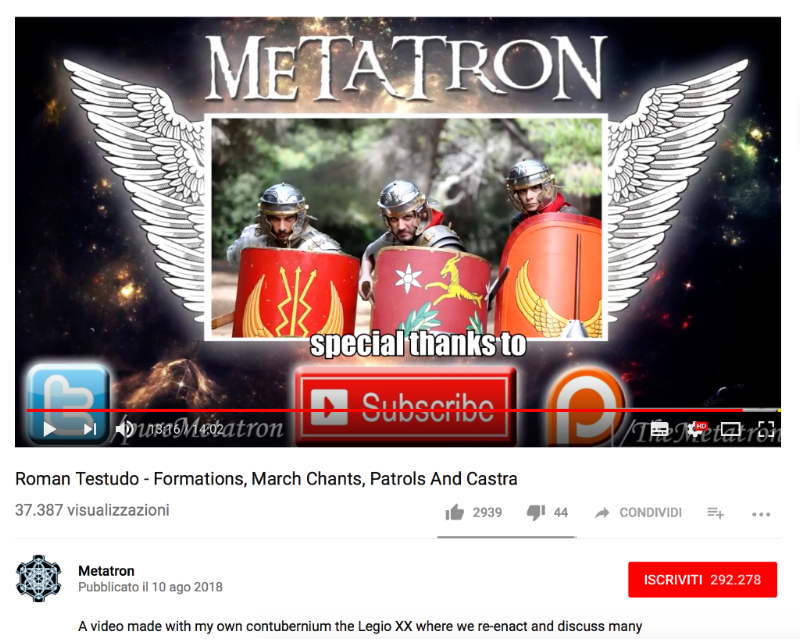 Well-known YouTuber Metatron tells us he too is a great fan of the original Lex Arcana. Among other topics, his channel covers militaria and Roman facts, and we'd like to think these passions were partially fuelled by our game. We often recommend his videos - why not start with one about Roman army formation and marching songs? 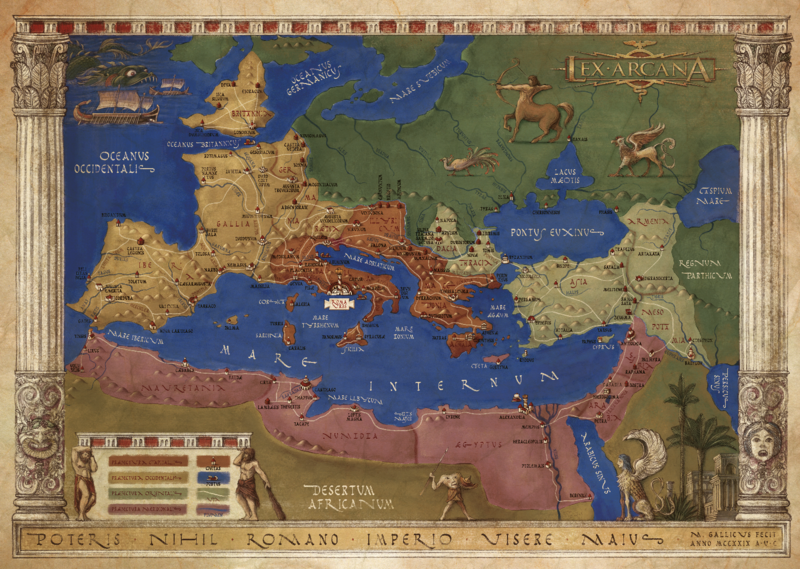 An exclusive preview for newsletter's subscribers: here is the map of the Empire drawn by Francesco Mattioli, aka Gaius Franciscus Mattiolus, Imperial Cartographer. The map is included in the Corebook. In addition, some pledge levels offer a stand-alone version suitable for game use or to decorate your tent in the castrum. More news from Rome will arrive next week.